Building Surveyors, Edinburgh and Perth, Scotland. We are Scotland's largest firm of Chartered Building Surveyors. We provide comprehensive and independent professional property advice to a wide range of Private, Commercial, Retail, Office and Industrial Clients throughout Scotland and the North of England. Whether you are an Owner, Investor, Developer, Funder, or Occupier of Property, our experienced and friendly staff are here to help. 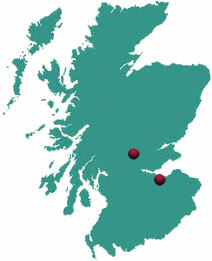 We have offices in Edinburgh and Perthshire. For advice and assistance on your property matters, please contact one of our Directors who will be happy to discuss your requirements.